267,000 BCE. The continent was its own world, untouched by the planet-wide catastrophe that ended the reign of the dinosaurs over sixty-five million years before. 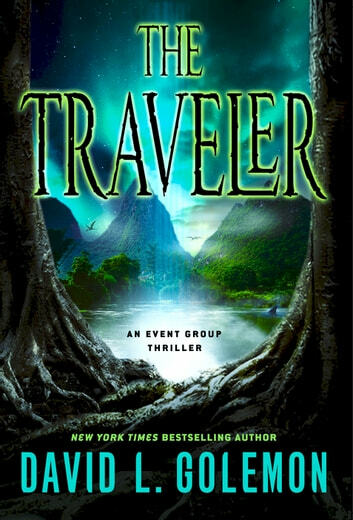 A traveler arrives in the jungles of this ancient world who will fight to survive carnivorous creatures in a land never meant for human kind. In another time and in a land far distant, men and women struggle to recover from the loss of so many of their own in a battle. Inside of this Group, Colonel Jack Collins has summoned the best of the best from the most secretive organization in the United States government, The Event Group, to help him in his quest. The new mission is to recover one of their own: to bring home a lost soldier from a world that existed in the distant past. To accomplish the impossible, Department 5656, the Event Group, will have to travel to a place and time far removed from their own world - almost 300,000 years in the past. The trail to find the technology to accomplish time travel will be ripe with treachery and murder as the Group fights to bring home their friend, Captain Carl Everett, a man that was lost in a battle to save the world. This will be a fight that if lost, will change the very history of the planet and thus our present. I have read all of the Event Group books. 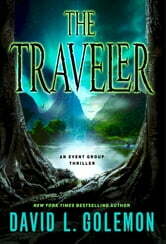 The Traveler was no exception to the adventure, suspense, and scifi that I have come accustomed to. Just a damn good book to read. I was sad for it to end so soon. I was still ready for more of the adventure. A must read for scifi/adventure fans. My title review have a whole lot of meaning to it. As ever, the author is able to keep me transfixed into the whole storyline & I was unable to put it down except when it's time for me to sleep. I really enoyed this story and it nicely wrapping up some threads of other books. If youve been reading the series you must read this one. Can't put down type of thriller! Good storyline, fast pace and well written! One of David's best! Can't wait for the next Event Group Thriller to come out!